Value. Safety. Security. Peace of Mind. This beautiful Star Certified 2015 Mercedes-Benz GLA250 with 4Matic All Wheel Drive has it all! Up to 6 years / 120,000km of coverage from Mercedes-Benz and reconditioning you can count on right from our factory trained technicians. Originally purchased and maintained at our dealership, this vehicle comes to us VERY well equipped with premium and premium plus packages that will include a crisp rear view camera, blind spot assist, panoramic sunroof, media interface, Sirius satellite radio capabilities, power tailgate and so much more! Call us today at 519-668-0600 for more info! Or come see it for yourself with one of our highly trained sales staff in our beautiful showroom at Mercedes-Benz London, located at 35 Southdale Road East in London. Mercedes-Benz, The Best or Nothing. Value. Safety. Security. Peace of Mind. This beautiful Star Certified 2016 Mercedes-Benz GLA250 with 4Matic All Wheel Drive has it all! Up to 6 years / 120,000km of coverage from Mercedes-Benz and reconditioning you can count on right from our factory trained technicians. Originally purchased and maintained at our dealership, this vehicle comes to us VERY well equipped with premium and premium plus packages that will include a crisp rear view camera, blind spot assist, panoramic sunroof, bi-xenon headlamps, power tailgate and so much more! Call us today at 519-668-0600 for more info! Or come see it for yourself with one of our highly trained sales staff in our beautiful showroom at Mercedes-Benz London, located at 35 Southdale Road East in London. Mercedes-Benz, The Best or Nothing. Value. Safety. Security. Peace of Mind. This beautiful Star Certified 2015 Mercedes-Benz C300 with 4Matic All Wheel Drive has it all! Up to 6 years / 120,000km of coverage from Mercedes-Benz and reconditioning you can count on right from our factory trained technicians. This stunning C class has many options for both safety and comfort! Boasting our Premium and Premium plus packages which will include a crisp rear view camera, panoramic sunroof, KEYLESS GO, Sirius satellite radio capabilities, beautiful ambient lighting and much more! Clean CARFAX report! Call us today at 519-668-0600 for more info! Or come see it for yourself with one of our highly trained sales staff in our beautiful showroom at Mercedes-Benz London, located at 35 Southdale Road East in London. Mercedes-Benz, The Best or Nothing. STAR CERTIFIED 6YR/120,000KM WARRANTY!!! RATES STARTING AS LOW AS 0.9%!!! The 2016 C450 4MATIC comes with a PREMIUM PACKAGE which includes PARKTRONIC SENSORS, SIRIUS SATELLITE RADIO, BURMESTER SURROUND SOUND SYSTEM, KEYLESS GO and much more!! NOW is your chance to drive with luxury and confidence. Get into a Mercedes-Benz Certified Pre-Owned vehicle today and put your mind at ease with: *Reassurance: 150-point certification inspection*Warranty: Standard Star Certified Warranty up to 6 years or 120,000km*Confidence: complete vehicle history report*Security: 24-hour special roadside assistance Visit our showroom at 35 Southdale Rd. E in London or call (519) 668-0600 to speak with one of our Mercedes-Benz Sales Consultants to book your test drive today! *** Star Certified Warranty from original date of in service. Rates, pricing, and promotions subject to change. See dealer for details. Value. Safety. Security. Peace of Mind. This beautiful Star Certified 2015 Mercedes-Benz ML350 with 4Matic All Wheel Drive has it all! Up to 6 years / 120,000km of coverage from Mercedes-Benz and reconditioning you can count on right from our factory trained technicians. Originally purchased and maintained at our dealership, this vehicle comes to us with the Mercedes-Benz OM642 V6 Turbo Diesel engine. 240 horsepower and 455 lb-ft of torque that will get you where you need to go all while saving at the pumps!! VERY well equipped with the Advanced Driving Assistance Package, Sport package, panoramic sunroof, COMAND Online Navigation, crisp 360 camera, Media interface, KEYLESS GO, heated rear seats and so much more. Call us today at 519-668-0600 for more info! 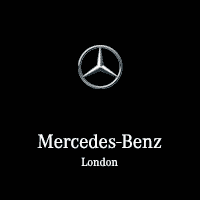 Or come see it for yourself with one of our highly trained sales staff in our beautiful showroom at Mercedes-Benz London, located at 35 Southdale Road East in London. Mercedes-Benz, The Best or Nothing. 6 yr/120,000km WARRANTY! STAR CERTIFIED! INTEREST RATES START AT 0.9%!! NEW to the Mercedes-Benz London showroom is this GORGEOUS 2016 Mercedes-Benz C450 AMG! Get yourself into a piece of Luxury with the performance data taken from Petronas Formula One research used by the Champion himself LEWIS HAMILTON! This C450 will NOT disappoint and comes LOADED with options such as Heated Seats, Rearview Camera, Navigation, Sunroof, Burmester Sound System, KEYLESS-GO, Power Trunk and much much MORE! This 2016 C450 is priced to sell and will NOT last long! Contact one of our Mercedes-Benz Sales Consultants and schedule a TEST DRIVE TODAY! 6 yr/120,000km WARRANTY! STAR CERTIFIED! INTEREST RATES START AT 0.9%!! Here in the Mercedes-Benz London showroom is this GORGEOUS 2016 Mercedes-Benz C450 AMG! Get yourself into a piece of Luxury with the performance data taken from Petronas Formula One research used by the Champion himself LEWIS HAMILTON! This C450 will NOT disappoint and comes LOADED with options such as Heated Seats, Rearview Camera, Navigation, Sunroof, Burmester Sound System, KEYLESS-GO, Power Trunk and much much MORE! NOW is your chance to drive with luxury and confidence. Get into a Mercedes-Benz Certified Pre-Owned vehicle today and put your mind at ease with: *Reassurance: 150-point certification inspection*Warranty: Standard Star Certified Warranty up to 6 years or 120,000km*Confidence: complete vehicle history report*Security: 24-hour special roadside assistance This 2016 C450 is priced to sell and will NOT last long! Contact one of our Mercedes-Benz Sales Consultants and schedule a TEST DRIVE TODAY! Value. Safety. Security. Peace of Mind. This beautiful Star Certified 2016 Mercedes-Benz GLC300 with 4Matic All Wheel Drive has it all! Up to 6 years / 120,000km of coverage from Mercedes-Benz and reconditioning you can count on right from our factory trained technicians. Originally purchased and maintained at our dealership, this vehicle comes to us VERY well equipped with PREMIUM, PREMIUM PLUS and SPORT PACKAGES. With a crisp 360 degree camera, heated steering wheel, Sirius Satellite radio capability, panoramic sunroof, ambient lighting and a multitude of safety features, this GLC can be your daily driver that will bring you where you need to go in comfort, safety AND style! Call us today at 519-668-0600 for more info! Or come see it for yourself with one of our highly trained sales staff in our beautiful showroom at Mercedes-Benz London, located at 35 Southdale Road East in London. Mercedes-Benz, The Best or Nothing. Value. Safety. Security. Peace of Mind. This beautiful Star Certified 2016 Mercedes-Benz GLC300 with 4Matic All Wheel Drive has it all! Up to 6 years / 120,000km of coverage from Mercedes-Benz and reconditioning you can count on right from our factory trained technicians. This vehicle comes to us VERY well equipped with PREMIUM, PREMIUM PLUS and SPORT PACKAGES. With a crisp 360 degree camera, heated steering wheel, panoramic sunroof, ambient lighting and a multitude of safety features, this GLC can be your daily driver that will bring you where you need to go in comfort, safety AND style! Call us today at 519-668-0600 for more info! Or come see it for yourself with one of our highly trained sales staff in our beautiful showroom at Mercedes-Benz London, located at 35 Southdale Road East in London. Mercedes-Benz, The Best or Nothing. Value. Safety. Security. Peace of Mind. This beautiful Star Certified 2016 Mercedes-Benz GLC300 with 4Matic All Wheel Drive has it all! Up to 6 years / 120,000km of coverage from Mercedes-Benz and reconditioning you can count on right from our factory trained technicians. Originally purchased and maintained at our dealership, this vehicle comes to us VERY well equipped with PREMIUM, PREMIUM PLUS and SPORT PACKAGES. With a crisp rearview camera, Burmester Surround Sound System, heated steering wheel, panoramic sunroof, ambient lighting and a multitude of safety features, this GLC can be your daily driver that will bring you where you need to go in comfort, safety AND style! Call us today at 519-668-0600 for more info! Or come see it for yourself with one of our highly trained sales staff in our beautiful showroom at Mercedes-Benz London, located at 35 Southdale Road East in London. Mercedes-Benz, The Best or Nothing.